Some Area Info: Craftsbury, a quaint village town located in Orleans County. Currently home to approx. 1,140 residents, Craftsbury spans over a total of 39.7 sq. miles or 25,408 acres. Chartered in 1781, Craftsbury was originally named Minden. But, was later changed in 1790 after it’s first settler in the county, Ebenezer Crafts. Attractions and Recreation: The biggest events in Craftsbury change by the season. In the Summer, it is the Antiques and Uniques Festival in July and Old Home Day in August. Come fall, leaf peepers from all over travel to see the breathtaking colors of the leaves. In Winter, it is a very popular place to cross country ski, and snowmobile. And once Spring arrives, it is maple sugaring time. The Craftsbury Outdoor Center and Sterling College are both located at the Craftsbury Common area and both have plenty to offer. Enjoy some of the best the Northeast Kingdom has to offer: Camping, fishing, hunting, boating, kayaking, canoeing, swimming, horseback riding, hiking, biking, shopping, walking, golfing, snowmobiling, skiing, snowshoeing or just plain relaxing and enjoying the four seasons. Dreaming of owning your own Nursery and Landscape business? 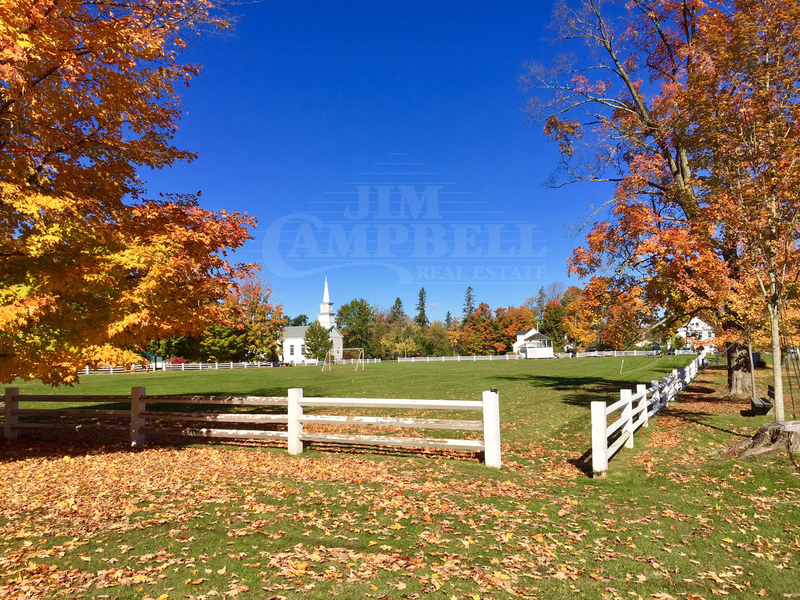 Established Landscape & Nursery business for sale, located in one of the Northeast Kingdom`s most beautiful and desirable towns, Craftsbury. This is a one of a kind, once in a lifetime opportunity, this turn key business comes with nursery stock, equipment, tools, customer list, 19+ acres, and a 3 bedroom home. This is an oasis in a convenient location, a list of equipment, tools and nursery stock available upon request, to serious buyers. The current owner is willing to help make the transition a smooth one. This is an excellent opportunity to buy this thriving business. 29 year old expanded cape on 3.64 acres in East Craftsbury. Lovely setting amungst former stone foundations filled with flowers, shrubs, mature maples and apple trees. The grounds are gorgeous. The home has an attached 2 car garage, mud room, huge bright kitchen, laundry closet, eating area with atrium doors to back yard. Formal dining room/TV room, large living room, great family room with wood stove and cathedral ceiling, all with hardwood floors, 3/4 bath and front office. Second floor has a center full bath. Master bedroom full width of the house and two closets. 2 equal size bedrooms with closets. Second floor is carpeted. There is a full concrete basement. The perfect spot. East Craftsbury Homestead. Life began as a single story 3 bedroom 1 bath home in 1971. Now with a cathedral ceiling cape addition to the south end in 2009, a working fireplace, wood stove hearth, 2 full baths, galley kitchen, dining room, huge living room, 2 first floor bedrooms (one with double closets), new full bath, hardwood floors, huge den with south facing windows, mud room entrance to back yard, and one at the front of the house, stairs to second floor loft/bedroom, it is a very pleasant living space. Hardwood laminant floors in main house. Wide pine floors in cape. There is a partial basement under the original home with crawl space. Addition has crawl space with concrete floor. The sellers added a 36 x 36 2 story modified post and beam barn when they added the cape addition. This houses 2 horse stalls and a pen for large animals. Running water, and electricity. There is a 12 x 24 heated one bay shop. There is also a separate insulated chicken coop (Poultry Palace) with seed starting room w/ solar lights. The owners have made this a real homestead with mature fruit trees, high bush blueberries, wonderful gardens, and horse fence. Enjoy a comfortable Craftsbury home. veCraftsbury Village Farmhouse. 3 bedroom, 1 bath, 7 room home. First floor includes kitchen, full bath, enclosed from porch with laundry hookups, dining room facing back yard, living room with atrium door to back yard and wood pellet stove. There is a front room used as a bedroom with hardwood floors. this continues into a front hall with stairs to second level. The first floor has been through a weatherization program. The second floor has 2 large bedrooms with closets and a long second floor attic over kitchen wing. There is a shed off the kitchen, and a partial basement under the kitchen and dining room with a wood furnace. The property is described by the town as 1/4 acre. There is a drilled well on the property and a concrete 1000 gal. septic tank and dry well. The roof is metal. This is a project home and in need of TLC and will sold in "as is" condition.